Those of you who were here last October 3rd will remember that to mark the aniversary of this esteemed blog I decided to hand out some meaningless awards: The Serene Wombles! Eligibility for a Serene Womble i[s] conferred by being the subject of a review [on In Search of the Happiness Max] in the past year. There may have been better or more worthy things that came out this year, but if I didn’t find them relevant to my interests, or if I simply didn’t have the time to review them, they won’t be eligible for a Serene Womble. I make no pretense that these awards are significant or important in any way, but I enjoy having the opportunity to praise and draw attention to things I have loved. The Serene Wombles are divided into two categories, those that apply to recent releases, and special Time Travelling Wombles for the most awesome things in my Reviewing Through the Time Machine posts. 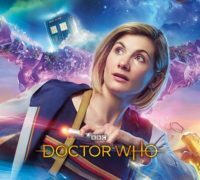 The division between the former and the latter may at times seem arbitrary – why should a film that came out in 2009 count as a recent release, whilst a TV Show that ended in 2009 requires a time machine? It’ll always be a judgement call, and the judgement will [usually] have been made on a case-by-case basis at the time of reviewing. Sometimes I use a time machine for my reviews because I want to review something that came out in 1939, sometimes because I want to review something more recent that’s out of print, or because it’s a TV show that’s been cancelled… At the end of the day, these are not the Oscars, they’re the highlights from a blog, and are therefore subject to my whim. Exciting stuff, eh? Let’s get started! The competition was basically between Dredd 3D, The Amazing Spider-Man, and The Hunger Games. If this category were about which film I’m most likely to rewatch… well, I’d probably rewatch all of those three, but I’d want to watch The Amazing Spider-Man first and most often. 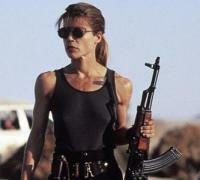 But this isn’t just about which film I found most fun. Each of these was well put together and entertaining, and The Amazing Spider-Man was also visually stunning and thematically well-conceived, but Dredd 3D was just in a league of its own – beautiful and thoughtful in equal amounts. It really felt like Dredd 3D was taking sci-fi back – giving us a real vision of the future, beautiful and provocative as well as dark. Breathtaking, is the word. I doubt this film will sweep the Real and Proper awards in the way it deserves, but here in Womblevonia I’m doing my bit to recognise originality, inspiration, and artistic genius where I see it. 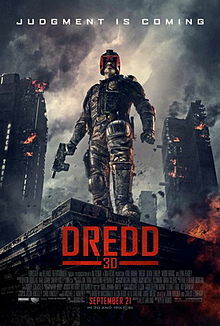 Congratulations, Dredd 3D! Well deserved. Tough crowd. I mean, we have The Fades, one of the most strikingly original and well-executed British fantasy TV shows in a good many years – a real tragedy that it was not renewed for a second series. Then there’s The Hollow Crown‘s adaptation of Richard II, which contains some of the very best Shakespeare I have ever seen performed, and for one of my least favourite plays, at that, including a truly spectacular performance from Ben Whishaw, as Richard II, and a simply wonderful portrayal of John of Gaunt by Patrick Stewart. And although Doctor Who has been highly questionable over the last year, I can’t deny that ‘A Town Called Mercy’ was excellent. 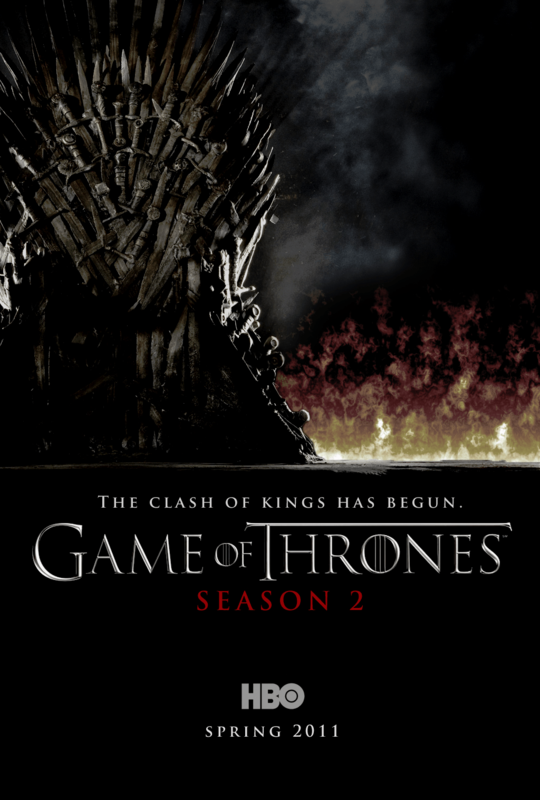 Yet Game of Thrones is still hands down the winner, for me. It feels unfair to some of the competition to give it the Serene Womble for Best TV Show two years in a row, but given that it was even better this year than last year, I don’t feel that I can really deny it. Performances by Peter Dinklage, Lena Headey, and Maisie Williams were stand outs, but everybody was bringing their A-game. The special effects were incredible – I now believe that dragons exist and that they are both very cute and very dangerous. Pretty much every element of music, direction, and writing was outstanding, and it stands out in my memory as the best thing I have seen all year. As they say on these here Internets: All of The Awards. Well, maybe not all of the awards. This is a new category introduced to include the burgeoning genre of web series. I was tempted to roll it into the TV shows Womble, but, upon reflection, I must concede that web series are their own medium. They are usually shorter and are often much lower budget. It’s neither fair nor practical to try and compare them to much longer, much higher budget shows. Moreover, they are developing their own tropes and styles and on the whole exhibit a different character to their televisual brethrin. That said, there wasn’t a lot of competition in this category. Both these shows are Felicia Day creations, and whilst I did watch other web series over the course of the year, I can’t deny that Felicia is the mistress of this genre – she has not only talent but the extra experience of being one of the founders of this artform. It means that she’s been at it for longer, but also that she’s better known. Nevertheless, it is notable that The Guild greatly outstripped Dragon Age: Redemption. I suspect this is in part due to the fact that Felicia will have had much less control in the latter, but I also didn’t find her own performance as convincing. 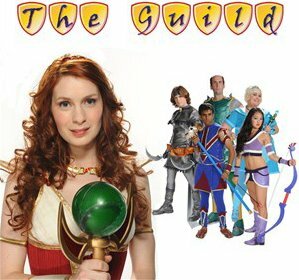 In all honesty, The Guild is just in a league of its own. It has the geek-following to bring in stars for the extensive cameos that were a feature of this series, and it’s starting to get the money that allows it to do more things. 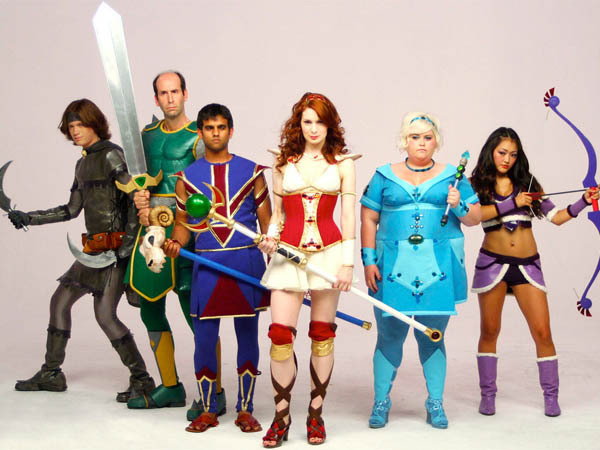 It’s also excellently and knowingly written for the audience that powers the Internet: geeks. Not to mention the spot on performances of the other cast members: Vincent Caso, Jeff Lewis, Amy Okuda, Sandeep Parikh, and Robin Thorsen. It’s a deserved win, but with more and more people finding it natural to watch their visual content online, more TV stars using short videos as a way to get a bit more exposure and make a bit more cash on the side (see, for example, David Mitchell’s Soapbox), there’s a blooming new arm of the media that I’m thinking I need to investigate further in the coming year. I’m interested to see how things develop. Elligible Actors: This category is open to any actor in any recent production that I’ve reviewed in the past year – film, TV, radio, podcast, whatever. I do not discriminate by gender. It’s a fight to the melodramatic death and the best actor wins, regardless of what’s between their legs or how they identify. This was a tough one. I feel bad for stinting Peter Dinklage for the second year running after praising him so highly, but it was a strong field, and he did contribute to the overall Game of Thrones win – keep it up, Peter, there’s always next year. Lena Headey was also giving all the players a run for their money with her outstanding performance as Ma-Ma in Dredd 3D – a real performance of a lifetime. But I can’t deny the just deserts for Ben. He took a role I’d never especially liked or understood and made me see it from a completely different angle – an angle that was utterly compelling and heart-breaking. 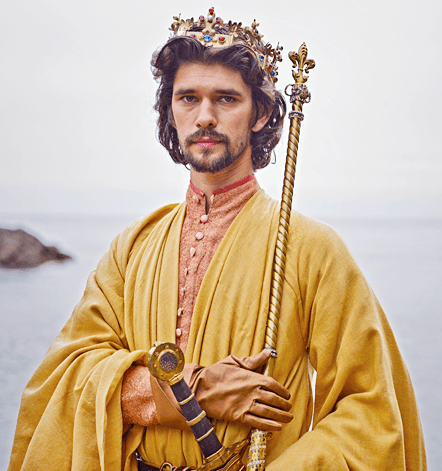 In all honesty I was far less impressed with Parts II and III of The Hollow Crown (and I somehow missed Part IV), and I’ll not deny that Tom Hiddleston did a good job, but Richard II blew me away, and Ben Whishaw was the lycnhpin of that production. Incandescent. Any actor that can ellucidate not just the character they are portraying but the themes of the play and have that render their performance more compelling rather than less, and to such a level… sheer genius. Thank you, Ben, for showing me Richard II the way you see him. Have a Womble. This one was probably the hardest. Kraken is the most imaginative novel I’ve reviewed this year, and it was certainly a gripping as well as intelligent read. However, it did have some minor gender issues, the attempt at rendering London accents was unconvincing, and although I found the exploration of personal identity fun, it was inconsistent. Rome Burning‘s alternate history setting was imaginative in a different way. For exploration of gender, race, and cultural issues it was outstanding. The characters were interesting and varied. The pace was fast and gripping. The politics, nuanced and intriguing. And, overall, the harder-to-define ‘squee’ quotiant was just higher than for anything (new) I’ve read in a long time. 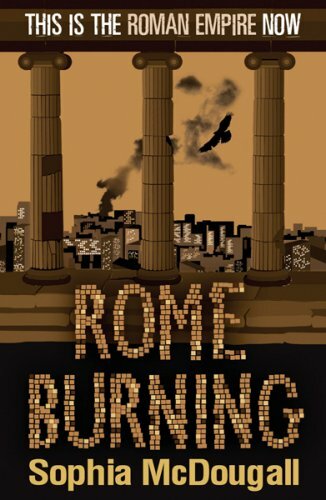 Romanitas, the first book in the trilogy of which Rome Burning is the second, was also good, gripping, and squee-worthy, but the writing was not quite as strong and the world-building was more developed in the second volume. A Dance with Dragons is what it is: a novel to which I have mysteriously devoted a surprisingly large chunk of my life in reviewing; part of a long series that has given me both great joy and great frustration. Perhaps it is unfair to put it up for assessment when the review is as yet incomplete, but I’ll give you a sneak preview and say that, for all its good points, A Dance with Dragons was not really competition for any of the above. Another new category, and only two in it, but I couldn’t leave them by the wayside. Both of these are excellent, and I thoroughly recommend them to all of you. Both are surreal, hilariously funny, and gender balanced. Romantically Apocalyptic has an edge for me by being, well, apocalyptic; but then again, Real Life Fiction has Manicorn. The real clincher is the artwork, which, as you can see, is stunning. I have never seen anything like it in a web comic. Or any comic. Or ever. 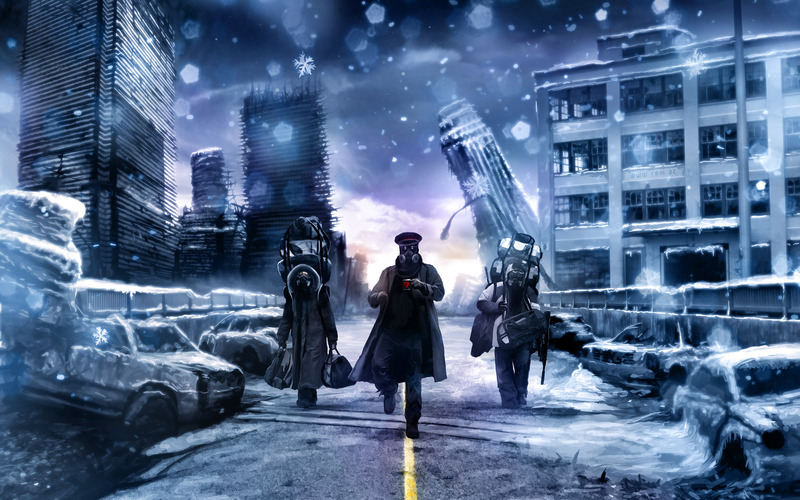 And the creator, Vitaly S Alexius, hands this stuff out for free. There are no two ways about it: this comic wins. That’s right, I’m giving the award to a film it’s virtually impossible to buy anymore. 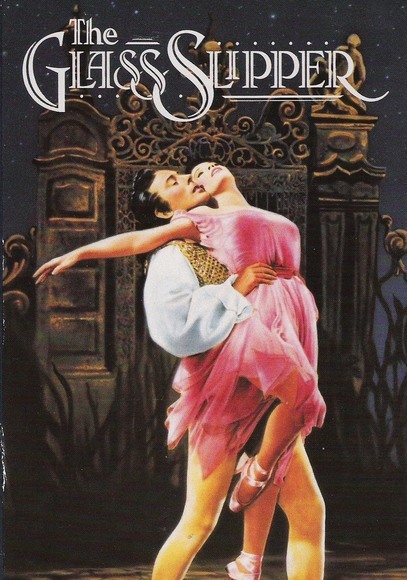 It’s not available on Amazon (there’s a Korean film called Glass Slipper, but it’s a different movie), it’s never been made into a DVD, the only videos I can find are US vids on eBay, the cheapest was going for about £16 (inc. P&P) at time of posting. I don’t know if it’d even play on a non-US machine. [Edit: YOU CAN BUY IT ON DVD NOW OMG, SO EXCITE!
] My copy was taped off the telly in the 1980s. But if you can get it, I urge you to make the effort. And this is really what reviewing via time machine is all about: drawing attention to classics and forgotten works of art. How can we get great films like this pressed for DVD if nobody speaks up to say that they are wanted? The Glass Slipper is beautiful, sweet, and knowing. To me, it is the definitive cinderella story, and that’s not just the nostalgia talking. I feared it would be when I went to rewatch for this review, but it’s not. This was a feminist take on Cinderella in 1955, long before anyone even dreamt of Ever After. And it doesn’t sacrifice the romance for its message; it is a heart-breaking, life-affirming, challenging, witty, and beautiful work of art. This is not to discredit its competition, however; both of the other films were clear contenders, although each is very different to the others, and it was hard to make the comparison. Robocop is a cleverly written and directed critique of capitalism. Its ultra-violence and gritty realism stand at stark odds to The Glass Slipper’s colourful fairytale punctuated with surrealist dance-interludes. Soldier’s Girl is a moving and powerful adaptation of the true story of a soldier who was beaten to death for loving a transgender woman. It perhaps didn’t have the artistry of the other two movies, but I don’t know that you want a lot of whistles and bells for such a movie – its task is to tell someone else’s tale and command the viewer to witness a crime and recognise an injustice. It would be wrong for a director to grandstand and steal the show. So, what do you do, when confronted with three such different films, ones that resist judgement on equal grounds? I think you have to go with your gut. The Glass Slipper is the one that had the deepest personal influence on me, playing a pivotal role in shaping my psyche and helping me figure out what sort of a woman I wanted to grow up to be. Children’s or ‘family’ movies are often over-looked as less serious art objects than ‘adult’ films*, but they help to form the worldview a child is exposed to when they are trying to figure out what this existence, this life, is all about. 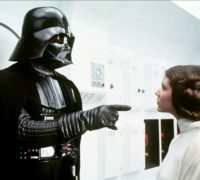 Films like The Glass Slipper, which show a child a multiplicity of roles for women, are incredibly important, especially when they do so in the context of a story that is usually cast to define women as romantic creatures whose ‘happily ever after’ lies in marriage, and not in independant thought. Doing that whilst keeping the romantic centre of Cinderella’s tale intact is a masterful stroke. It deserves this award. Eligible actors: anyone who has acted in a film I had to time travel to watch. It may not have garnered the illustrious Time Traveling Womble for Best film, but I can’t deny the Womble to Lee Pace – head and shoulders above the rest – there really wasn’t any competition. Lee Pace plays Calpernia, the transgendered woman that Barry Winchell fell in love with, and was brutally killed for loving. The gentle, understated approach to this sensitive role is spot on. I imagine a lot of reviews of this film will have said something to the effect of what a ‘convincing woman’ Lee Pace made – I’m not even sure what that means, but it’s the sort of thing people say when they discuss a man playing a transgendered role. I’ve known a number of transgendered women – they’re as varied as any other random woman would be from another; they’re as varied as people. Which is not the same as saying that they have nothing in common or don’t have shared experiences. I don’t want to make any sweeping characterisations of what it is to be a transgendered woman and then proclaim that I think Lee Pace matched that stereotype. What I’m saying is that he portrayed a well-rounded character – a person with loves and passions and heart-ache, with interests both important and trivial; a person whose story moved me and made me think about an important issue. The point that moved me most – that stood out – was a moment in the above scene. It spoke to me powerfully even though it was speaking about an experience I’ve never had, and am never likely to have. Because it’s a scene in one sense about a man struggling with figuring out his own sexuality in the high-pressure environment of being a soldier in the context of the US Don’t-Ask-Don’t-Tell policy – only revoked just over a month before I reviewed this film; still in force when it was made. To a large extent, that’s what the film is about. But it’s also about a woman, struggling to be acknowledged as a woman, finding it almost impossible to date, even though she is beautiful and charismatic, because straight men won’t acknowledge her as a woman. And here she has found a man, a man she is falling in love with, and she must always be asking herself: is this just an experiement, for him? Am I his way of figuring himself out? And all this time she has been loving and supportive and understanding that this is hard, for him, but here she finaly shows her pain and anxiety. Yet, it’s still within the context of that loving, caring, understanding character. Once he has affirmed his love for her she subsumes her own pain to his need for support. It is done with so much subtlety and nuance. Lee Pace isn’t the one bawling his eyes out in this scene, but the emotion is nonetheless powerful. That’s acting. Acting and sensitivity; just exactly what the role needed. 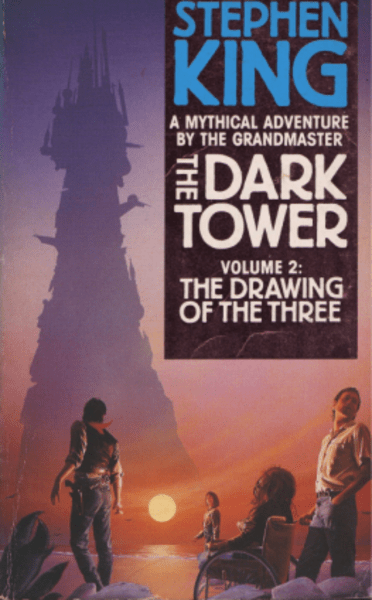 Eligible Novels: The Blazing World, by Margaret Cavendish and The Dark Tower, Vol. 2: The Drawing of the Three, by Stephen King. I did think about including some of the works of Anne McCaffrey in this category, as I did talk about a number of them in her memorial post, but ultimately I decided that what I was really doing was celebrating a woman’s life’s work, rather than giving a review. Besides, I might want to review some of them properly somewhere down the line. As for the two remaining novels… well, it was an unfair match. The Drawing of the Three is basically my most favourite book. The Blazing World is an important book that more people should read. It’s historically valuable and truly remarkable for its time. But it’s also the offspring of a genre (novel writing) in its infancy – the very first science fiction novel, in 1666. Don’t believe me? Go read the post. As for The Dark Tower – ah… I suspect I shall spend my whole life trying to tease apart why it affects me so. My post, ‘Meditations on Death‘ explores just one aspect of my its power – the seductive power of the concept of death-as-release, what makes us resist its allure, and how this is expertly explored in The Drawing of the Three. Perhaps the most arbitrary of all the awards, this is the one you voted for with your feet. The selection for this award is based solely on the review post with the single largest number of hits. And this year it was a landslide, with 8,431 hits and counting, this post has had more hits than my home page. It’s had several thousand more hits than the total for all hits of my most popular month (July). The closest runners up are The Amazing Spider-man and The Hollow Crown (both around 1,000). And it’s not even because it’s been on the blog since October last year – the hits suddenly started raining in in July. I don’t know what it was, but it seems like all of a sudden the Internet woke up to The Guild, and all I can say is that it couldn’t be more well deserved. Congrats, Felicia and friends: they like you, they really, really like you! And that’s it! The awards have been awarded, and it’s time to start all over again, selecting novels and films and TV shows and comics and web series, and kittens only know what else, to review in a brand new Womblevonian year. Stay serene and max for happiness, yo. *Not that kind, dirty minds! This entry was posted in A Dance With Dragons, A Game of Thrones, Awesome Things, Comics, Digital Art, Doctor Who, Dredd 3D, Game of Thrones, ISotHM's Birthday, Lee Pace, Misfits, Peter Dinklage, Prometheus, Real Life Fiction, Review, Reviewing through the Time Machine, Robocop, Romanitas, Romatically Apocalyptic, Rome Burning, Shakespeare, Sophia McDougall, Stephen King, superheroes, The Blazing World, The Dark Knight Rises, The Dark Tower, The Fades, The Glass Slipper, The Guild, The Hollow Crown, The Hunger Games, The Serene Wombles and tagged Ben Whishaw, Dredd, Dredd 3D, Game of Thrones, Lee Pace, Lena Headey, Romanitas, Romantically Apocalyptic, Rome Burning, Sophia McDougall, Stephen King, The Dark Tower, The Drawing of the Three, The Glass Slipper, The Hollow Crown. Bookmark the permalink. Thank you! I’m glad you liked 😀 I spent far too much time on this – lol! I am an inattentive blog-reader, I guess. Somehow I missed the Sophia McDougall books, having never heard of them before. You have done me the greatest of services, dear Rho! Heh – it is ‘Ro’ or ‘Rhube’, but thanks! 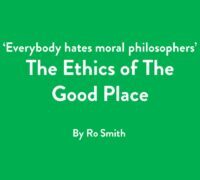 They are very much worth a read!